This is the Easy Social Sharing instruction page. We have tried our best to keep it as simple as possible. If you think it can be made even simpler let us know, we will be glad to make some adjustments. Let’s start! On the left side you can see the table of contents of this documentation. Jump to the section you want, or read it all through – your choice. Let’s move on! Installing your plugin is pretty easy! After downloading you should have a easy-social-sharing.zip file. This is a compressed file containing all of the required files and images required for the plugin to function properly. This option allows you to display the social sharing buttons in the front page(home). 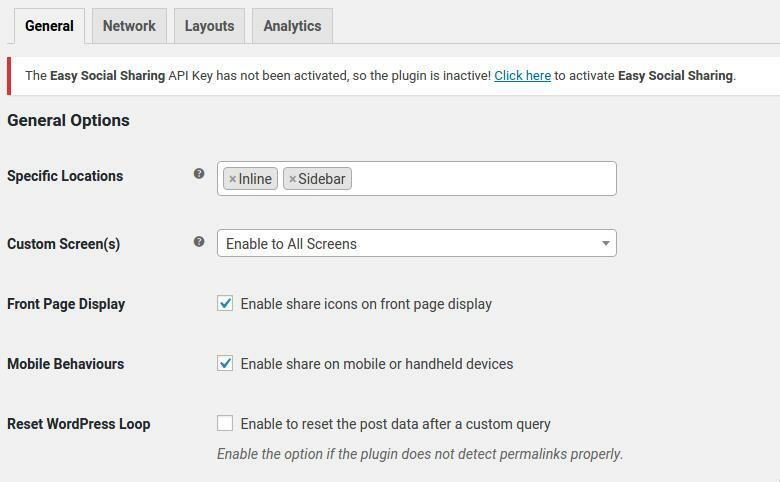 If you have not selected the permalink setting, then, checking the option available in the checkbox here, will reset the postmeta data to fetch the correct permalink. Select the preferred social network. Add description for the selected network. For eg: if you have setup the number as 5 here, then, the counting will not be there unless the total count reaches to 5 for the particular network. Here, you need to set credentials to access social network related functionality. 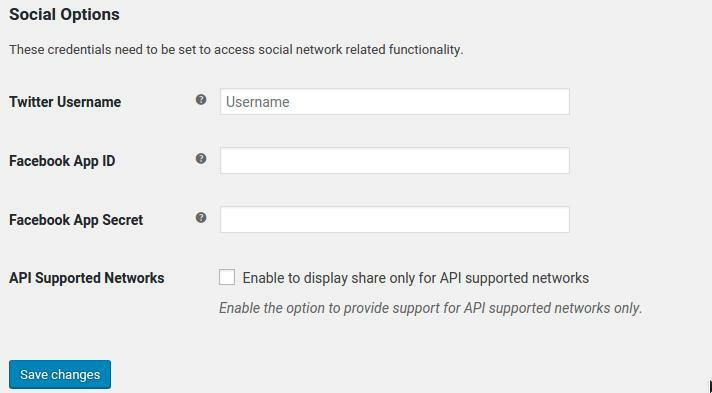 Only to provide support for API supported networks you can enable this option. This option helps you to change different style and color for different layout options. Custom Colors:To enable the custom colors for the social icons, you need to select the checkbox option of Enable Custom Colors. Now, after doing it, the default color of the social sharing box of the site will be overwritten. Background Color: Choose the background color for the social sharing icons for this plugin. Hover Background Color: Choose the background hover color for the social sharing icons for this plugin. Note: For taking effect of the point 2 and 3, the first point, ie, Custom Colors need to be enabled. Choose Layout:Choose the different layout option for social sharing button from here. The options available here are Layout One, Layout Two, Rectangular Rounded, Rectangular, Rounded Edge(circular) and Text Only. Choose Location: This option enables you to display the social sharing icons in above or below as well as in both side of the content in the page or single post page. Enable networks label: This option helps you to display the social sites name along with the icons in the sharing buttons. 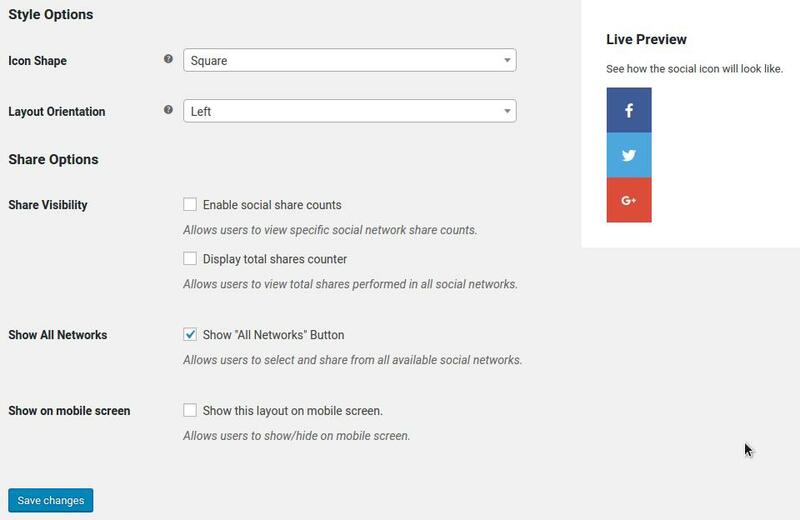 Enable social share counts: This options enables you to display the total number of sharing counts of the particular post or page. Display total shares counter: This options helps users to view total shares performed in all social networks. 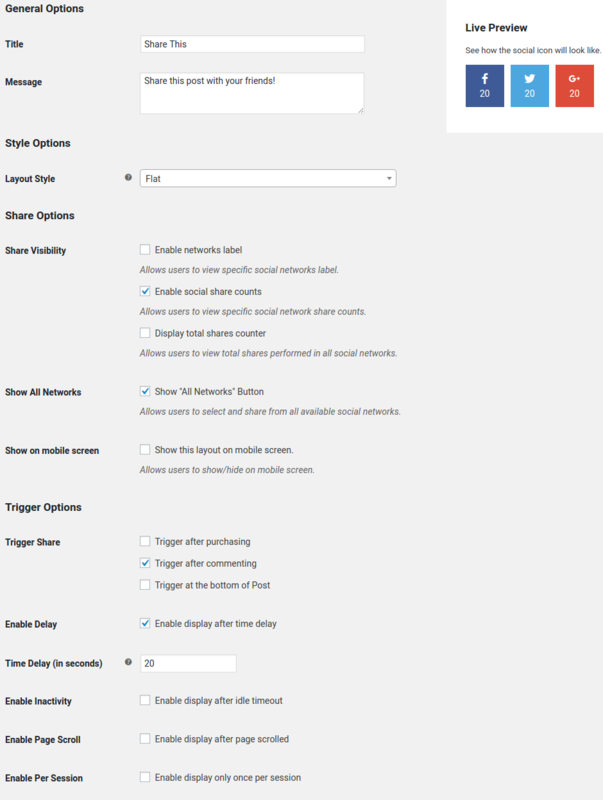 Show All Networks: This options helps you to add the all of the social sites to be available or not for sharing. Layout Orientation: This option enables you to display the social sharing icons either in the left or in the right middle corner section of the browser. Show on mobile screen: This option allows user to show/hide sidebar layout on mobile screen. Title:Input the title for popup layout here. Message:Input the message here which will be displayed on popup. Layout Style: This option allows you to select different style for popup. There are Flat and Rounded Corners as a style options. 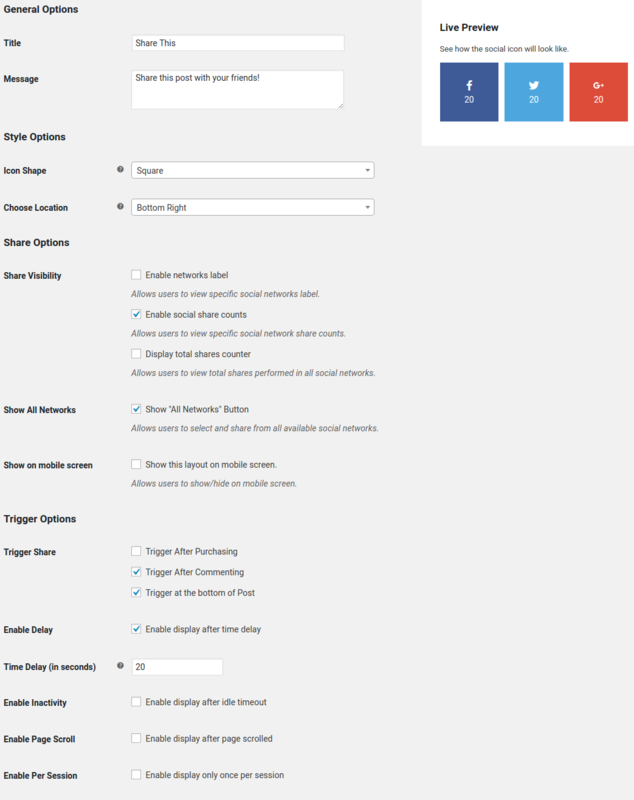 Trigger Share: This option allows user to trigger popup layout at different event. Trigger after purchasing, Trigger after commenting and Trigger at the bottom of Post are the available options for trigger share. Enable Delay: Enable an option for time delay. Delay time can be set in belwo given option “Time Delay”. Time Delay (in seconds): Set the delay time in seconds which is the delay time before the social share appears on the screen. Enable Inactivity: This option allows how many seconds user should be inactive before the popup layout appears on the screen. You can set the time(seconds) after enabling this option. 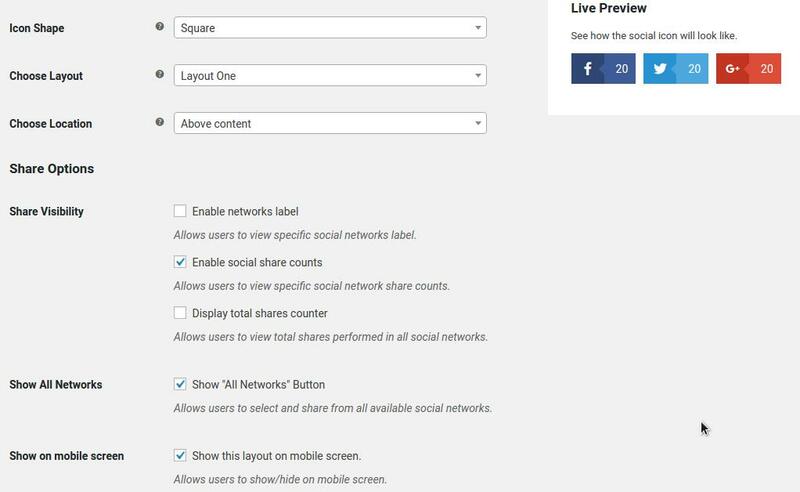 Enable Page Scroll: This option allows to define the percentage of the page to be scrolled before the social share appears on the screen. You can set the percentage number after enabling it. Enable Per Session: This option allows to define the length of time(in days) that a session lasts for. Icon Shape: This option allows you to select different style for social share icon layout. There are Square and Rounded as a style options. Choose Location: This option allows you to choose location to be displayed in the browser screens. There are Bottom Left and Bottom Right as an option. This is the section where detail analytics of social sharing can be observed. Each and every layout (Inline, Sidebar, Popup, Fly In) of social sharing’s detail analytical report is generated here. 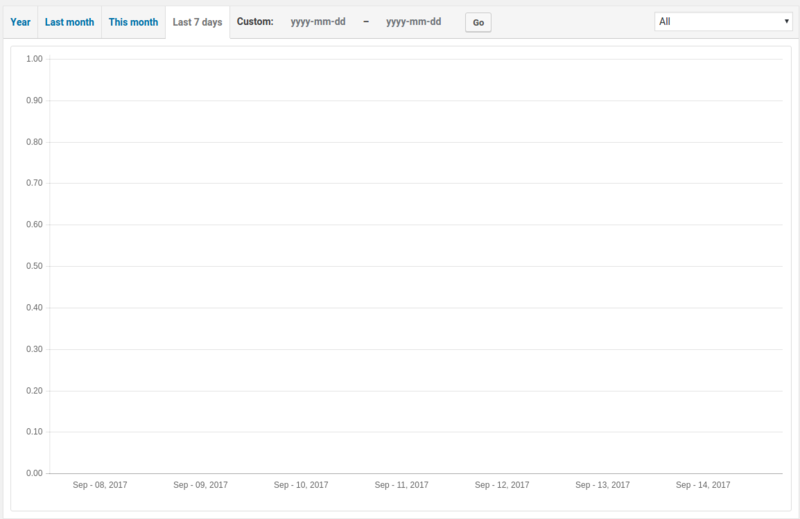 You can have yearly, monthly and weekly analytical report of total social sharings.